Lena Dunham has apologized for saying she wishes she’d had an abortion. The “Girls” creator stirred controversy when she talked about abortion on the podcast “Women of the Hour” and has since backtracked on her comments. 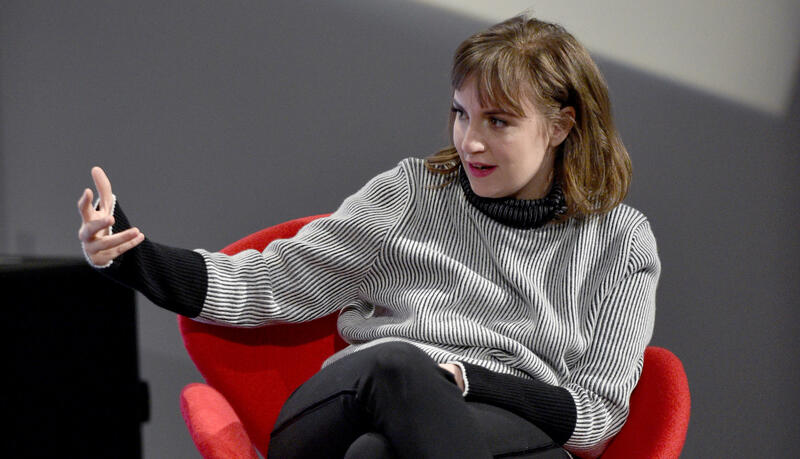 The joke in question arose when Dunham talked on “Women of the Hour” about the time she visited a Texas Planned Parenthood years ago, when a girl asked her to talk about her experience with abortion. “I sort of jumped. ‘I haven’t had an abortion,’ I told her. I wanted to make it really clear to her that, as much as I was going out and fighting for other women’s options, I myself had never had an abortion,” said Dunham. The writer and actress said she felt that she was furthering the stigma around the issue by being so quick to say she had not had an abortion. Lena Dunham apologizes to NFL star Odell Beckham Jr.
My latest podcast episode was meant to tell a multifaceted story about reproductive choice in America, to explain the many reasons women do or don't choose to have children and what bodily autonomy really means. I'm so proud of the medley of voices in the episode. I truly hope a distasteful joke on my part won't diminish the amazing work of all the women who participated. My words were spoken from a sort of "delusional girl" persona I often inhabit, a girl who careens between wisdom and ignorance (that's what my TV show is too) and it didn't translate. That's my fault. I would never, ever intentionally trivialize the emotional and physical challenges of terminating a pregnancy. My only goal is to increase awareness and decrease stigma. I take reproductive choice in America more seriously than I take literally anything else, and therefore own full responsibility for any words I speak that don't convey this truth clearly. I know plenty of people will never like a thing that leaves my lips, mea culpas or no, but this apology is for the women who have placed their trust in me. You mean everything to me. My life is and always will be devoted to reproductive justice and freedom. You know how in some households you curse and have to put money in a jar? Well in mine, if you mess up your pro-choice messaging you have to give a sizable donation to abortion funds (https://abortionfunds.org/need-abortion) in New York, Texas and Ohio I look forward to fighting with you all for the next four years and beyond.